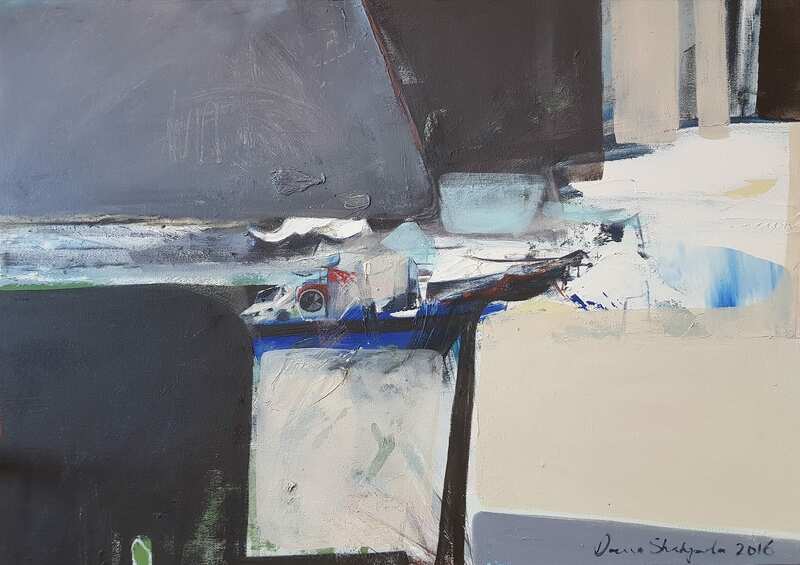 Dana Shahzada is a Jordanian artist and art educator who holds an undergraduate degree in Fine Art from the University of Creative Arts and the University of Brighton, and a Postgraduate Certificate of Education from the University of Sunderland, UK. 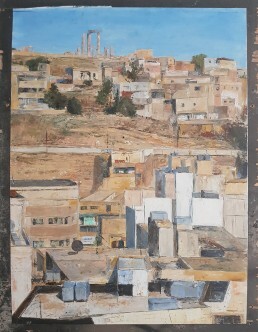 Shahzada’s oil paintings capture the raw nature of Jordan’s city, sea and landscapes. 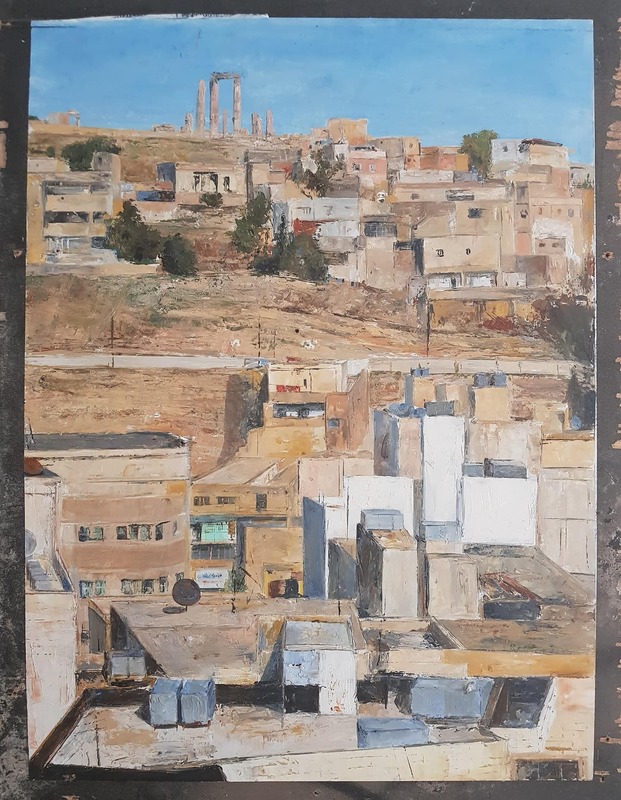 Elements of colour, form and line, drawn from her every day environment, give rise to an autonomous view of Jordan as she explores the complex relationship between old, new and constantly changing. The results are layered segments and abstractions, of Jordan’s urban landscape. During her early career she worked at the Jordan National Gallery of Fine Arts as Assistant Director where she gained appreciation of contemporary art from Jordan, the Arab countries, and the developing world. She currently teaches art at the American Community School Amman and tutors at the Design Institute Amman.